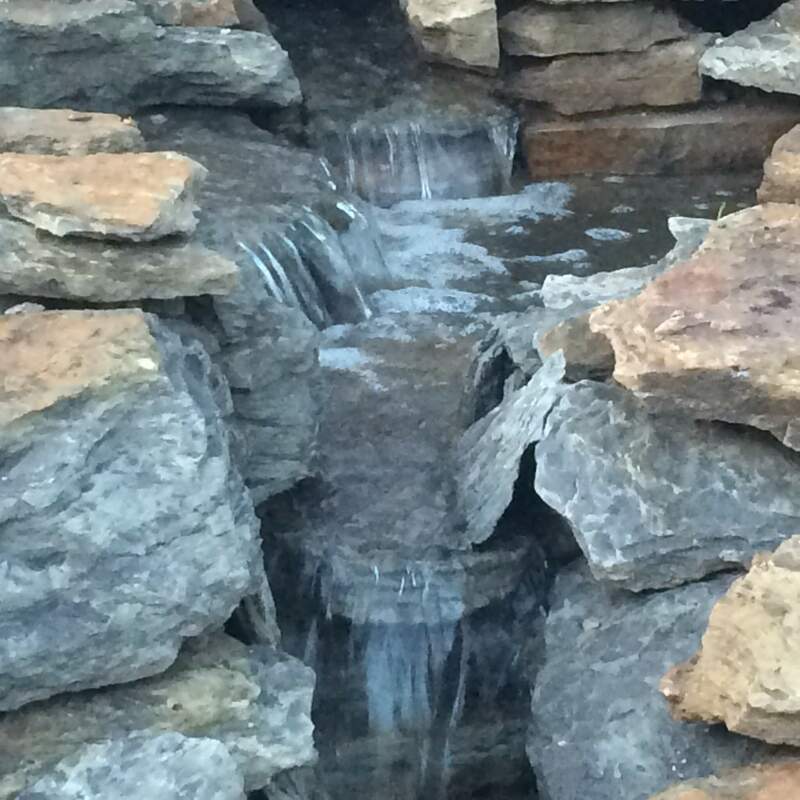 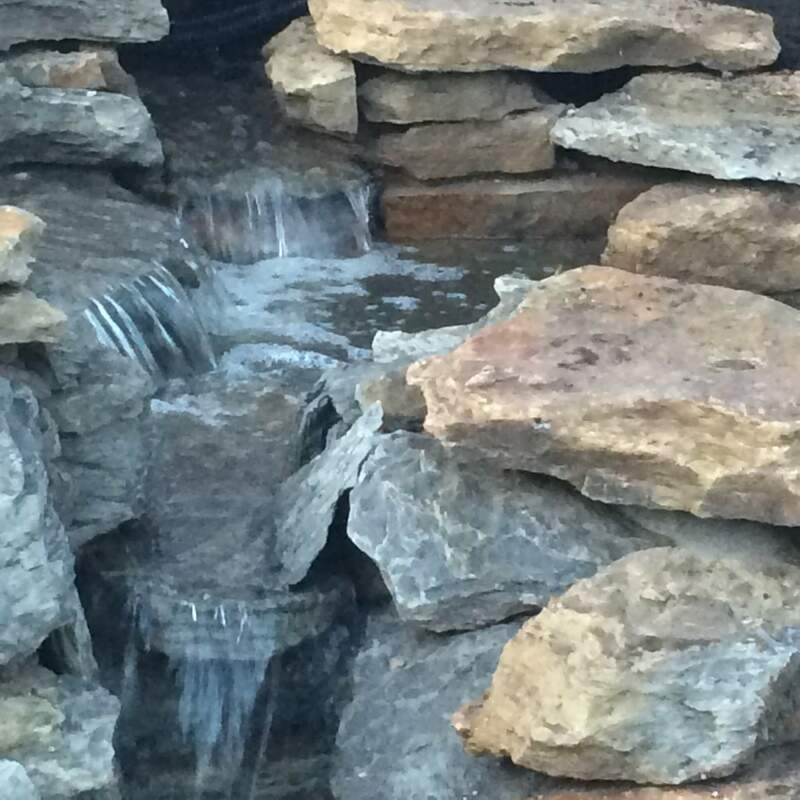 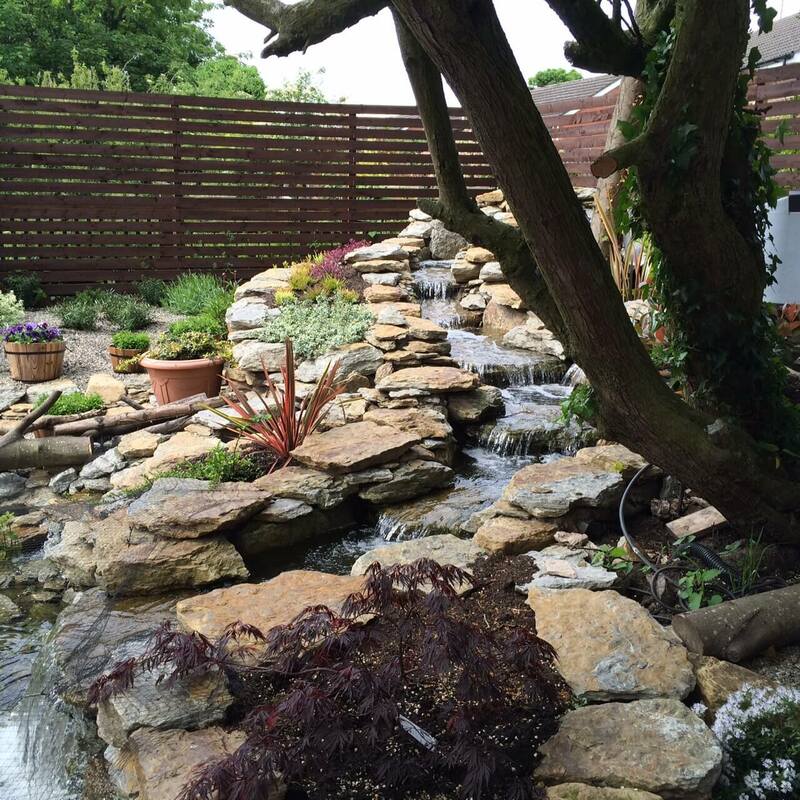 This water feature project was to create a number of waterfalls into the large pond which was constructed by our customer. 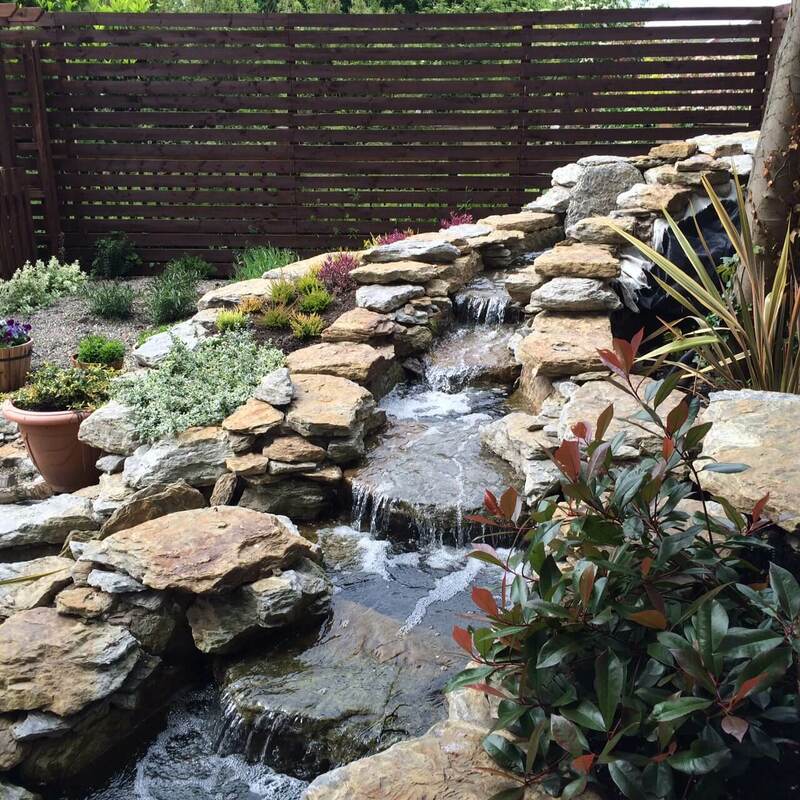 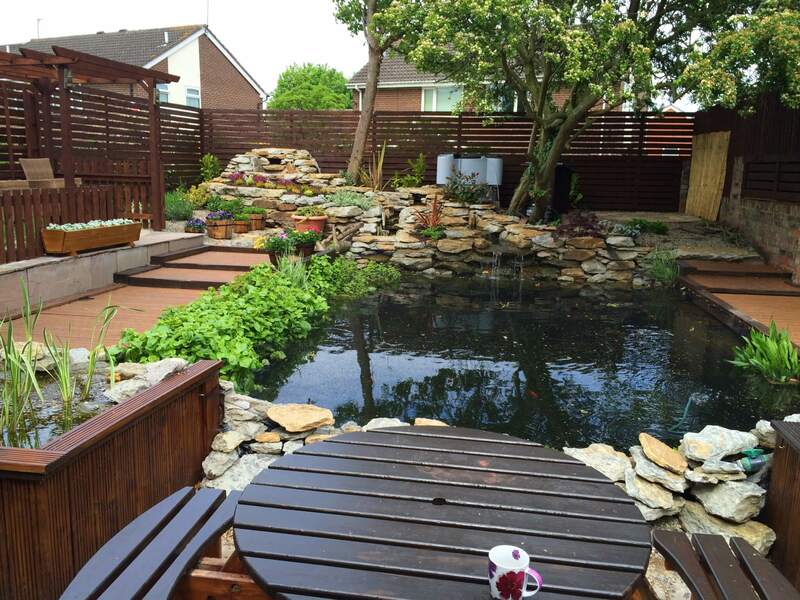 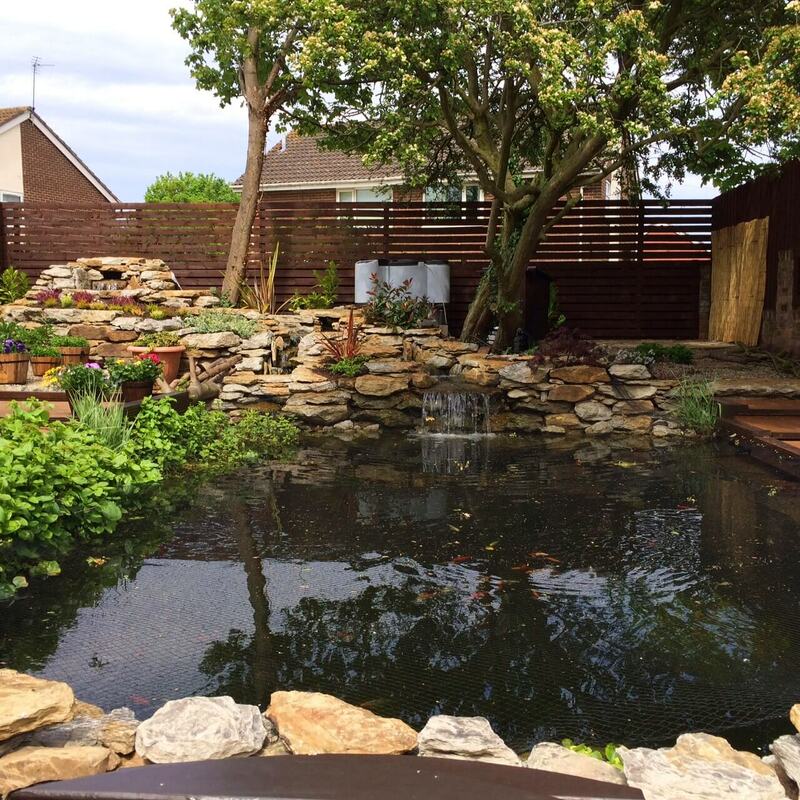 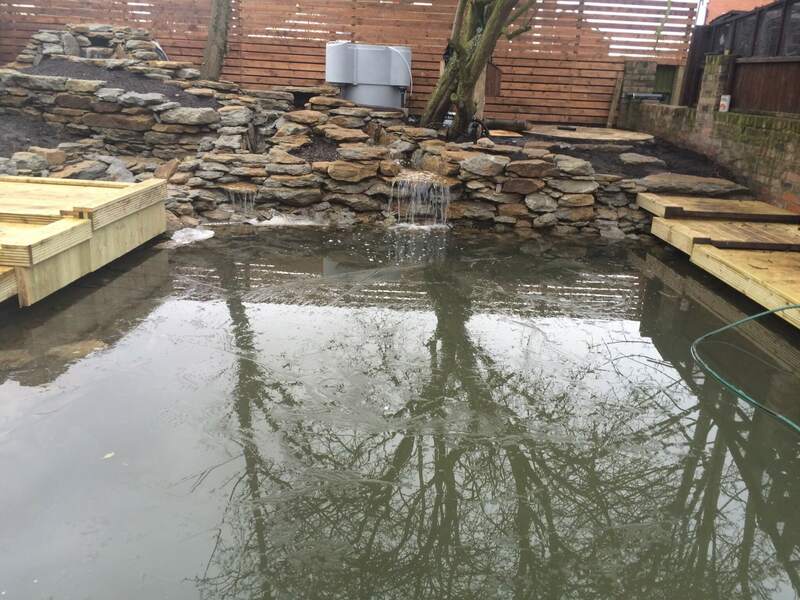 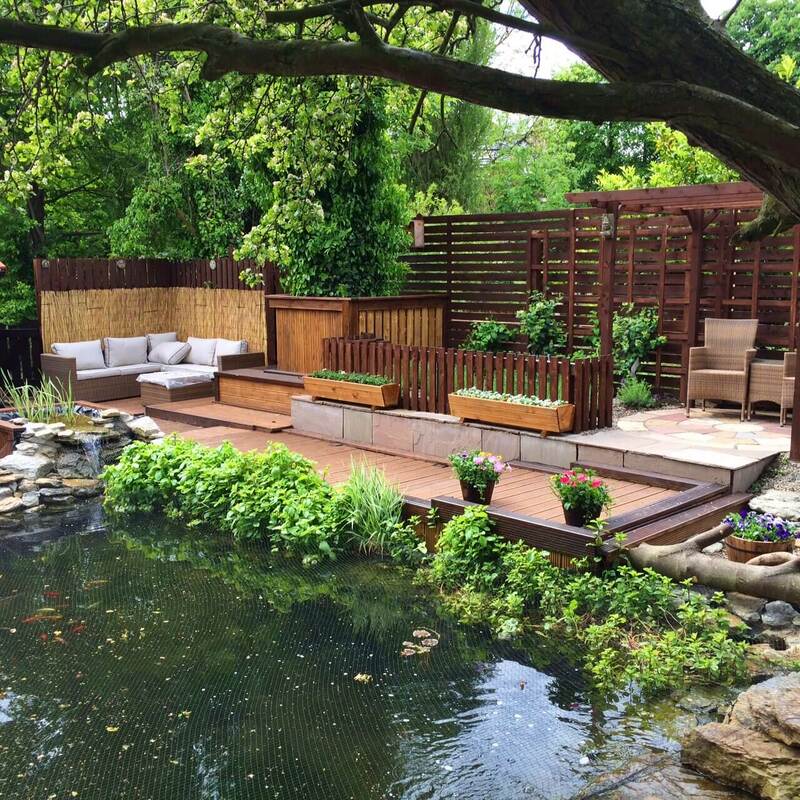 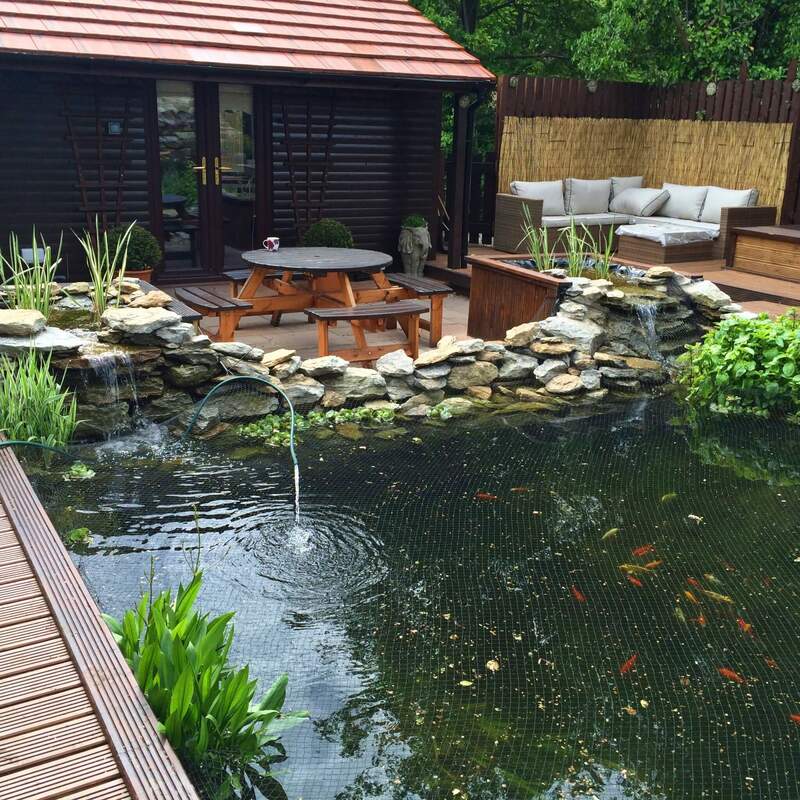 We also installed a professional koi filtration system using an EvolutionAaqua Nexus 320 filter and constructed decorative reed beds with waterfalls. 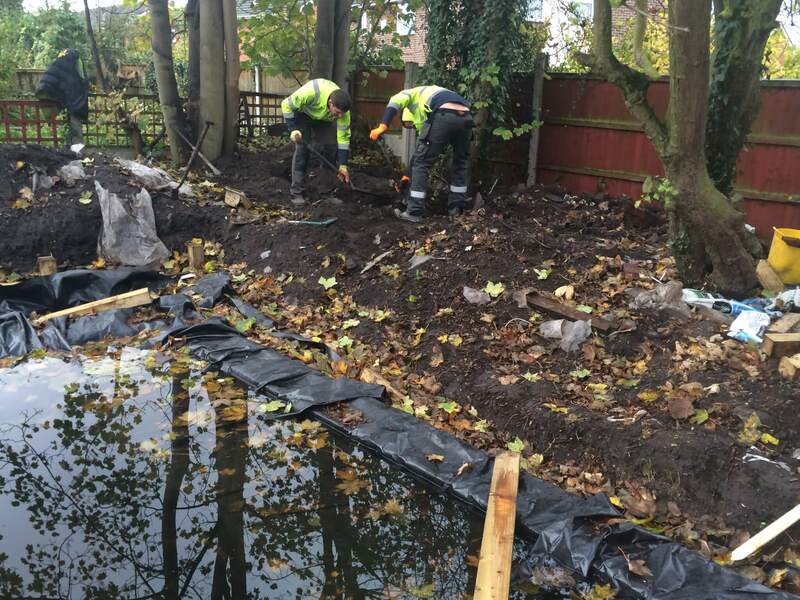 In total there is four 1500 ltr. 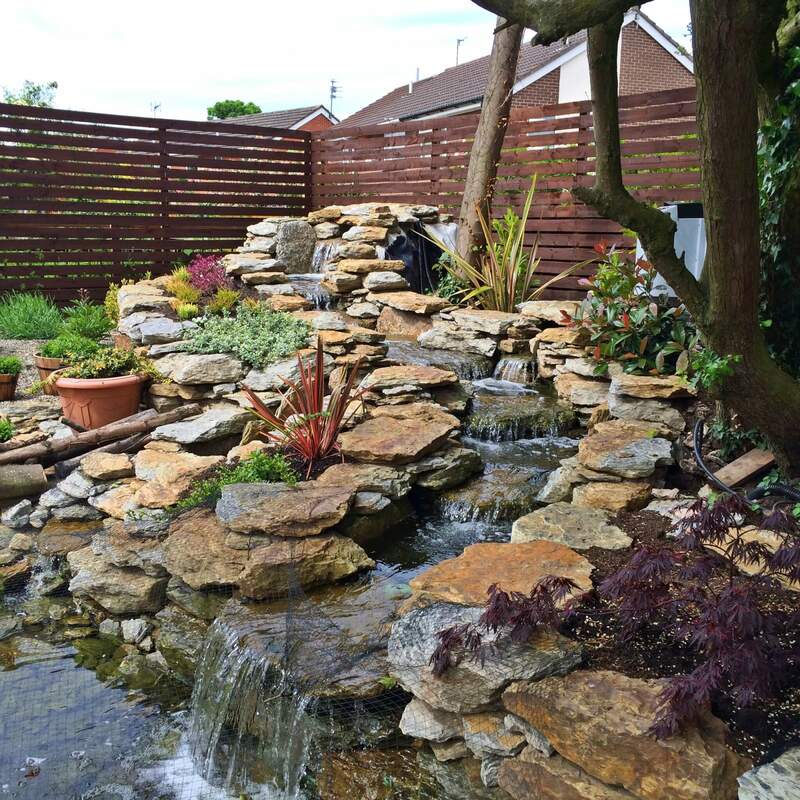 per hour flow rate pumps to create a stunning waterfall effect. 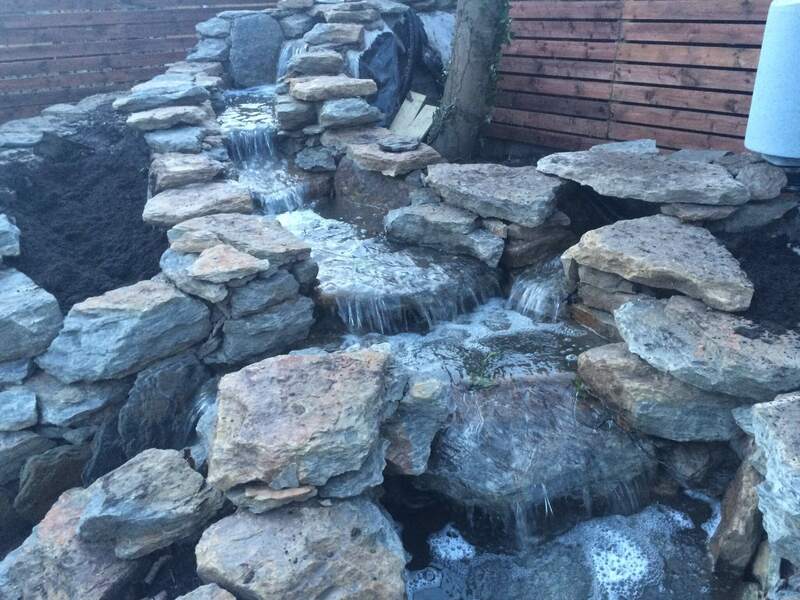 Also, fifteen tonnes of sandstone rock was installed to create this stunning waterfall feature. 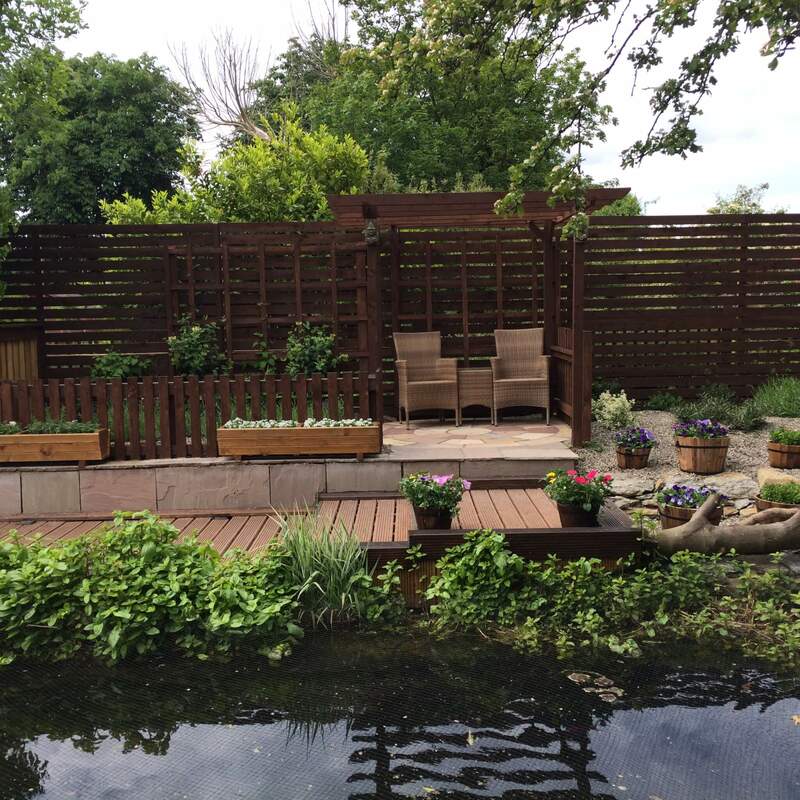 We constructed a contemporary style fence to create a screen to the rear and side elevation. 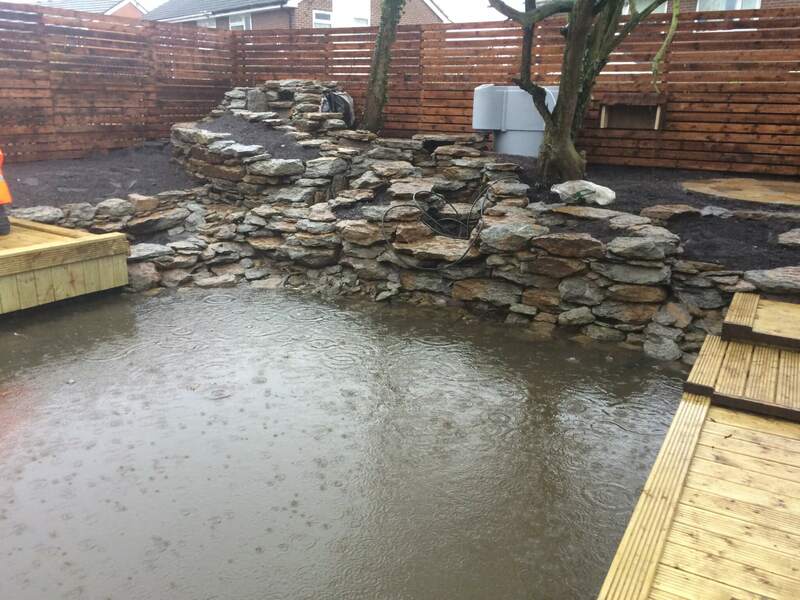 We also installed a natural stone patio with two natural stone circle features and imported eight tonnes of topsoil ready for planting on phase to in the springtime. 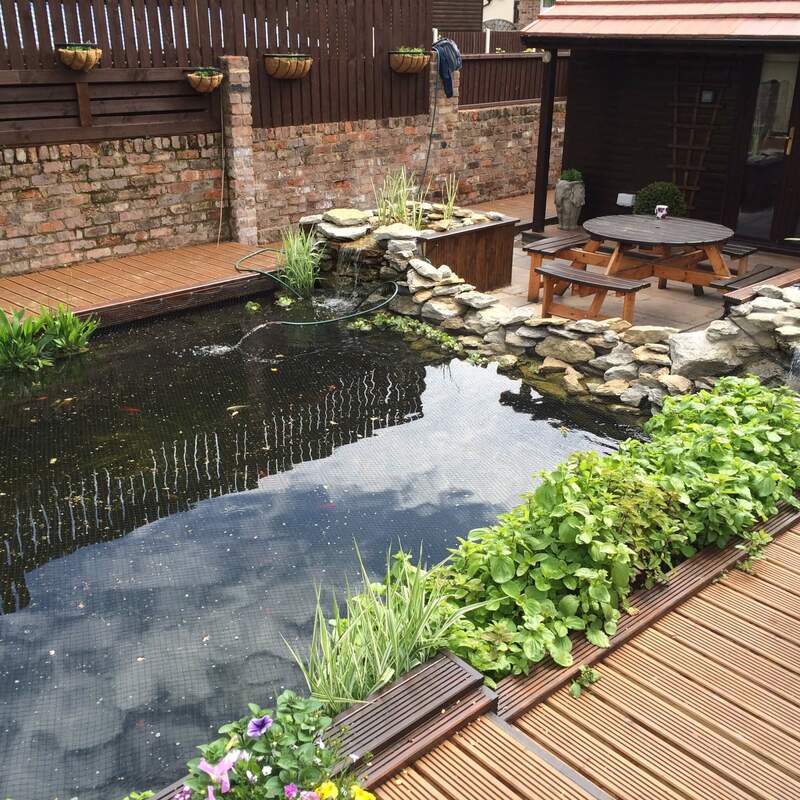 The decking that you may see on these pictures was constructed by our customer.